The first records for the Church appear in 1254. 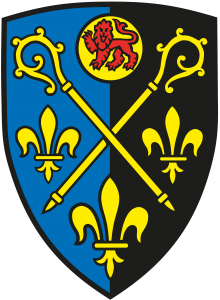 It is dedicated to St Mellonius – first Bishop of Rouen. 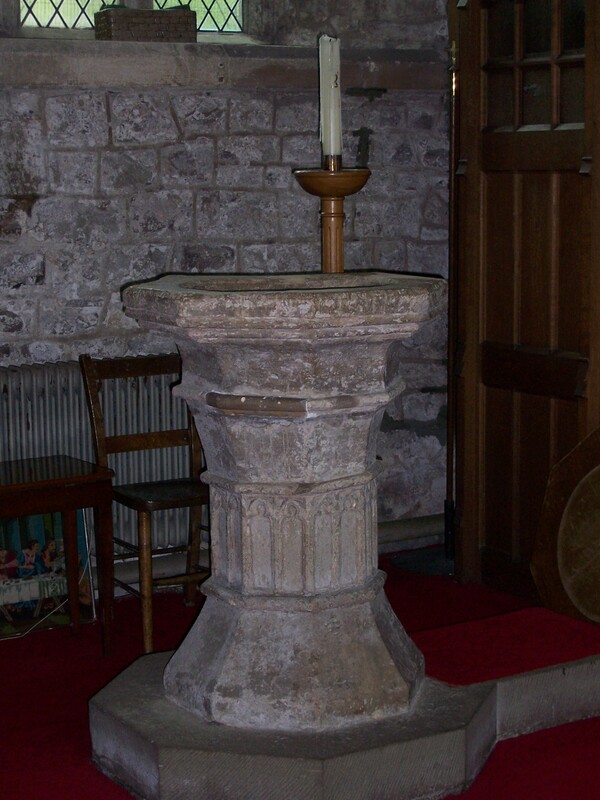 The font is where we make and welcome new Christians into God’s family. It is medieval and octagonal. Remains of a Norman pier were found during a 19th century restoration. Unfortunately this is not the window described above but it does describe three Christian virtues. Can you discover them? 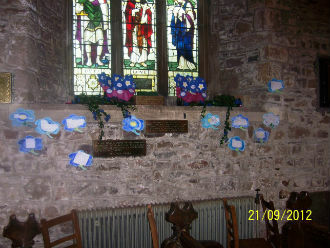 On the right of the nave is a modern tapestry made and donated by children from St Mellons Church in Wales School. It tells the story of Mellonius who cast out devils in the form of monkeys! 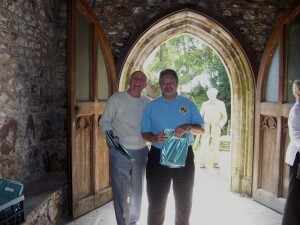 As you go further down the nave on your left you will see a door. This was originally the entrance to the Rood Loft. Near the door is a model of HMT St Mellons. The Ensign comes from the tug and some say that you can see bullet holes in it, although I’ve heard a slightly different story. 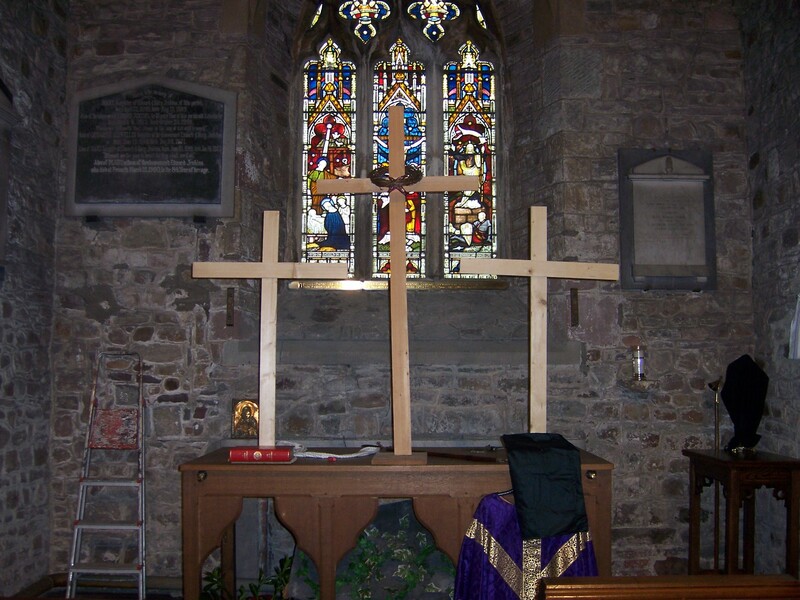 The chancel and sanctuary are worth looking at and the sanctuary window contains three panels showing the birth, death and resurrection of Christ. To the right of the chancel is the Lady Chapel, which contains some very interesting early C20th graffiti donated by our forefathers. Look carefully on the concrete ribbon pointing. The Lady Chapel also contains a piscina, used for washing hands at the eucharist. 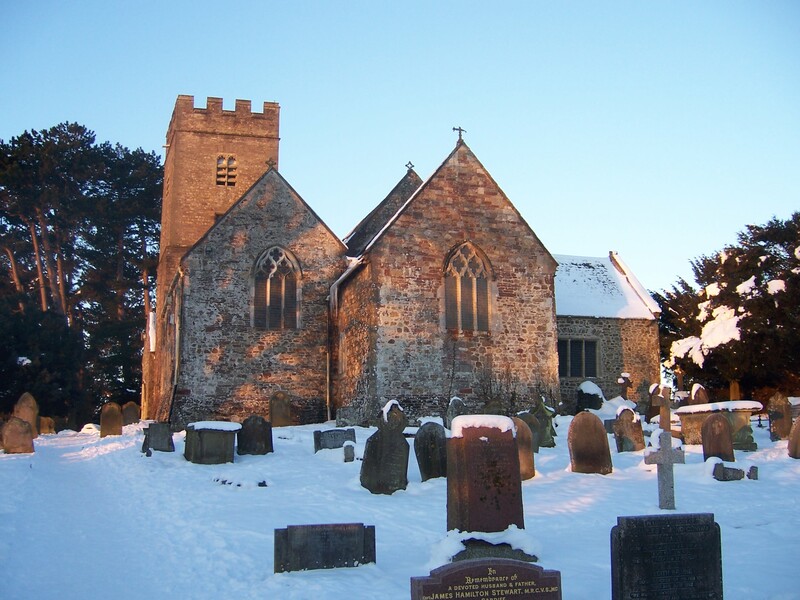 To the left of the chancel is the Llanrumney Chapel, so called because it was used by the local squire who once resided in Llanrumney Hall. Amongst the more famous of these local worthies was one Captain Henry Morgan. The Parish is justifiably proud of a beautiful ring of six bells lovingly restored in recent years and much in demand from visiting ringers. The original bells dated from the early C18th. In the churchyard there two items of interest. First is the Hemingway Memorial, consisting of plinth, base and column. 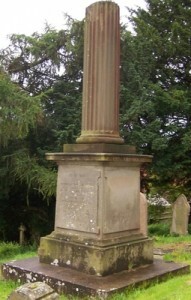 The column appears to be fractured and I am often regaled with stories that it was struck by lightning. The truth is that it is a metaphor for life. 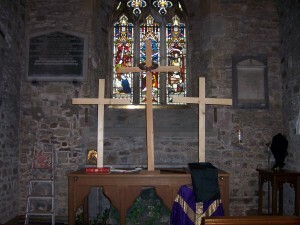 At the bottom of the churchyard there is the stump of a Churchyard Cross. Like the church these two items are listed.